Whether you’re looking for a simple yet effective way to brighten up your home or you’re seeking a unique and memorable gift for a loved one, a fresh bouquet of summer flowers is ideal for conjuring up images of warm sunny days and spending time amongst nature. To celebrate the imminent advent of summer, we thought we’d take a look at our 5 favourite summer blooms. Famous for their distinctive fragrance and brightly coloured petals, freesia flowers are a real feast for the senses. 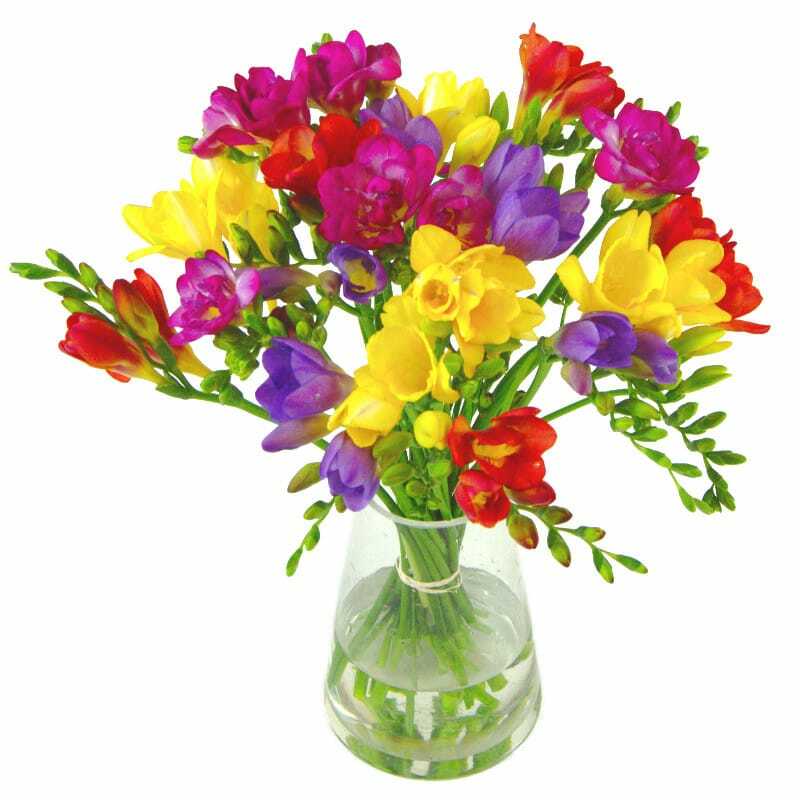 Freesia come in many different vivid hues which can be mixed together to make a scintillating summer bouquet such as our delightful Scented Freesia arrangement. The humble carnation has been an enduringly popular addition to bouquets of summer flowers for time immemorial. 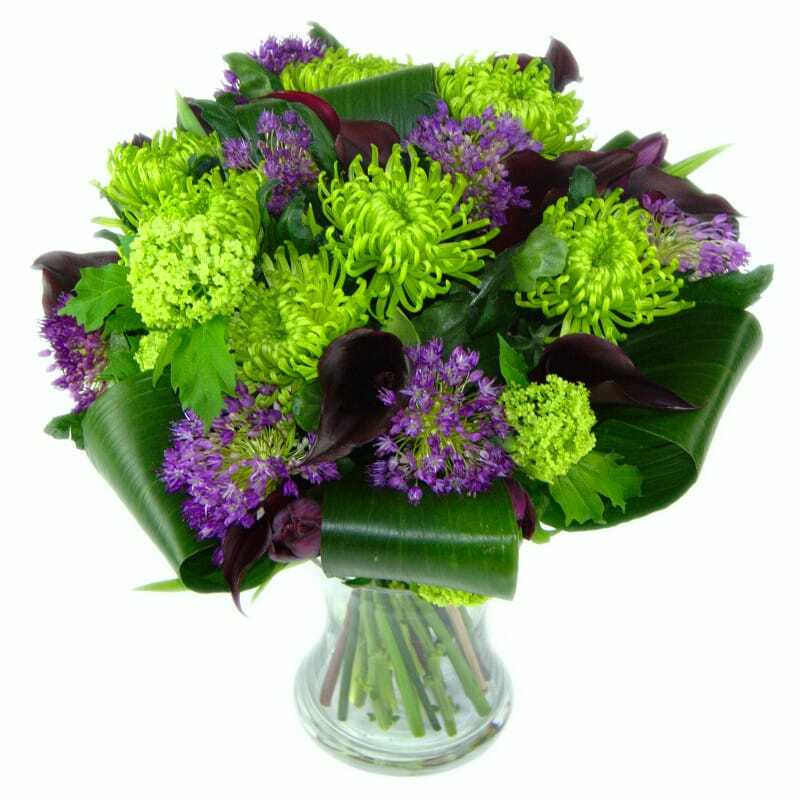 Whether you send carnations on their own or mixed in with other flowers as part of a larger arrangement, these colourful flowers will always catch the eye. 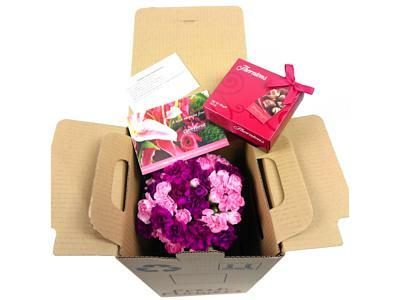 Our Serenity Spray Carnations with Free Chocolates is perfect as a birthday gift, for example. Derived from the Greek word for rainbow, the name iris immediately brings to mind images of colourful summer meadows. 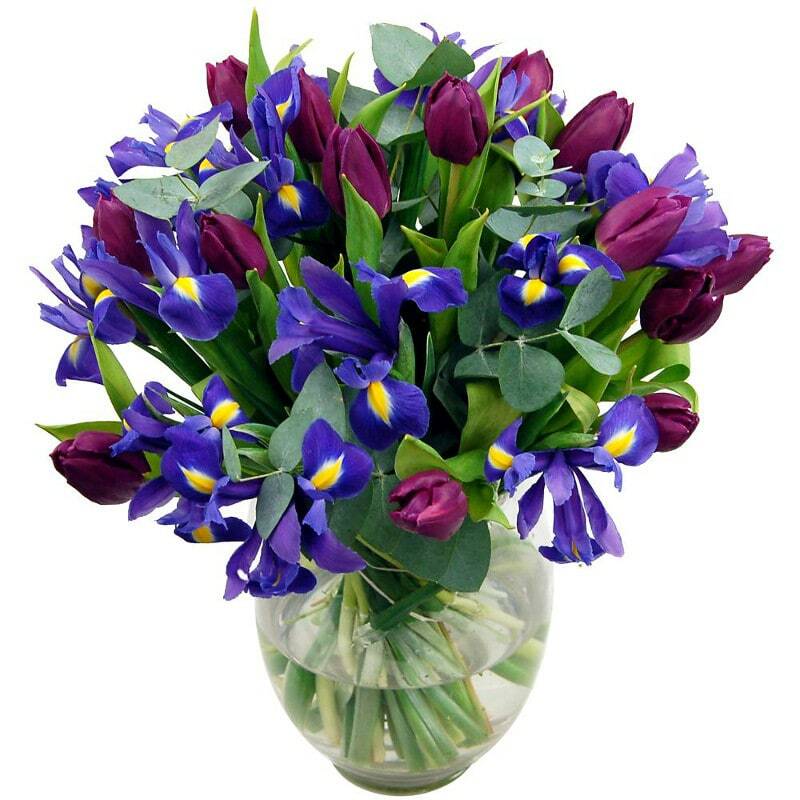 Our pictured Midnight Iris bouquet beautifully blends rich blue irises with purple tulips to absolutely exquisite effect. 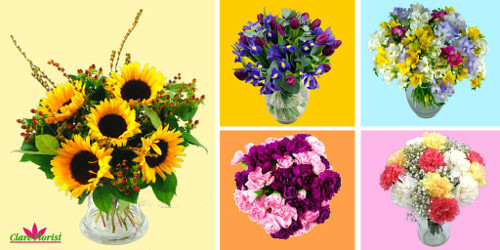 Send as a gift to a lucky friend or treat yourself to a bouquet to enliven your own surroundings. Often referred to simply as ‘mums’, the name chrysanthemum which translates from Greek as ‘golden flower.’ Popular in Mother’s Day arrangements in Australia, chrysanthemums are possessive of a mysterious, elegant and refined beauty. Nowhere is this more evident than in our contemporary Cool Shades bouquet. 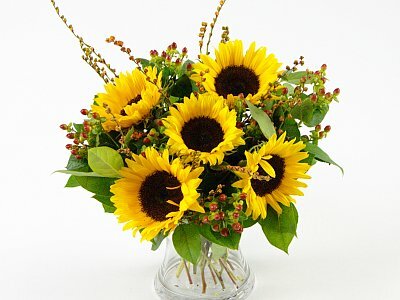 Cheerful and radiant, sunflowers feel like they are the quintessential flowers of summer. With their broad heads and friendly yellow petals, sunflowers create an instantly eye-catching spectacle in any situation or setting. Well, that about wraps up our list of our five favourite summer flowers. Do you think there’s any we missed out?